Patient information at YOUR fingertips. Though the Patient Dashboards and the Clinical Touchscreens are really two different applications, it's only natural to pair the two products together. 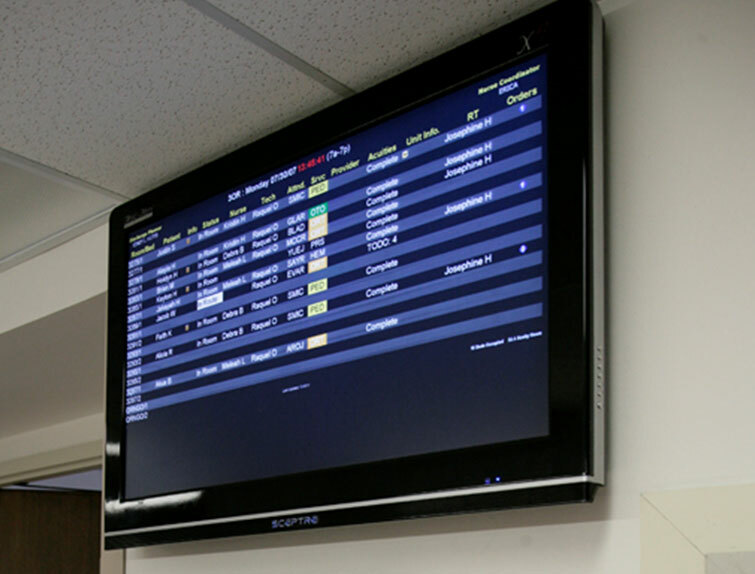 The Patient Dashboards provide users with easy-to-read, unit-specific patient data, most often displayed either over the web or on large HD televisions mounted throughout the unit or in waiting rooms. 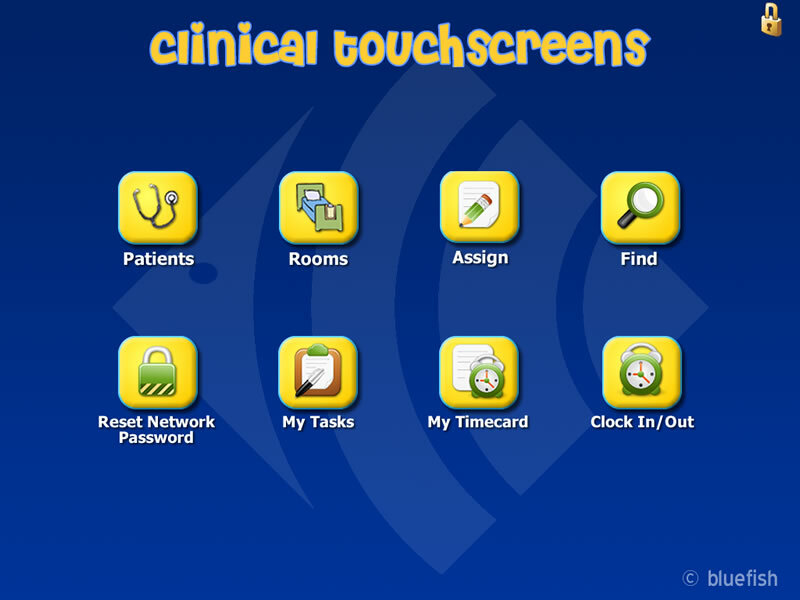 Clinical Touchscreens are touchscreen-enabled PCs that can be wall-mounted throughout a unit. The touchscreens have a barcode scanner attached that allows users to log in with the swipe of a badge. Once logged in, users can print forms, manage assignments, and perform a variety of other tasks. Access any unit or clinic dashboard from the web. Web-based HD electronic whiteboards designed for both inpatient and outpatient areas. Our system has REAL-TIME integration with Meditech Admissions, Scheduling, Lab, Radiology, Order Entry and other sources. 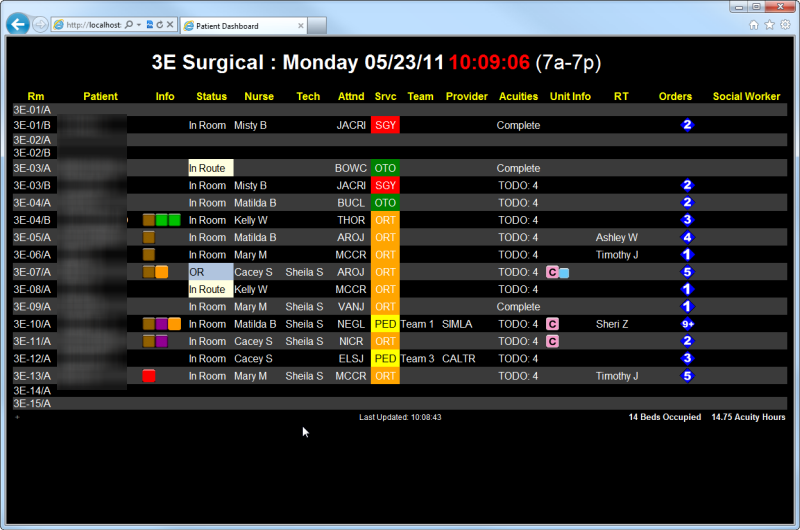 The columns displayed on each dashboard are fully customizable, and can have several different configurations, or "views" (for example, Nurse, Doctor, Resident, etc), for each unit. The Patient Dashboards can also be configured to contain a variety of "smart links" to other clinical applications, including growth charts, immunization data and clinical results. 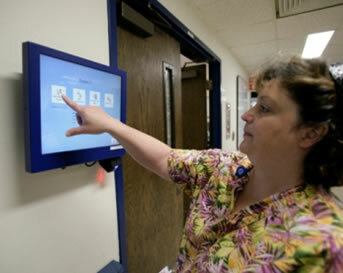 Clinical Touchscreens can be placed throughout both inpatient and outpatient areas within an organization. 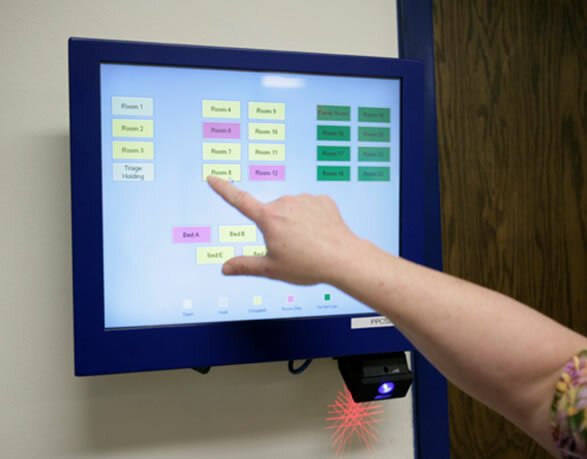 Using the Clinical Touchscreens, users can effectively manage a wide variety of tasks, including printing patient forms, performing room management tasks, and delegating patient assignments. Additional features can be added to the touchscreens as needed. Fully integrated with Meditech Nursing, Order Entry and Admissions -- Nurses, residents and attending physicians can quickly manage patient assignments. In Meditech, patient transfers between clinicians can take hundreds of keystrokes—using the touchscreens, the same task can be accomplished in seconds. Accurate recording of the current nurse, resident or attending physician assigned to a patient is linked to safe and effective care. Patient Acuity Documentation -- Bill patients for the time you actually spent taking care of them rather than a standard room charge. 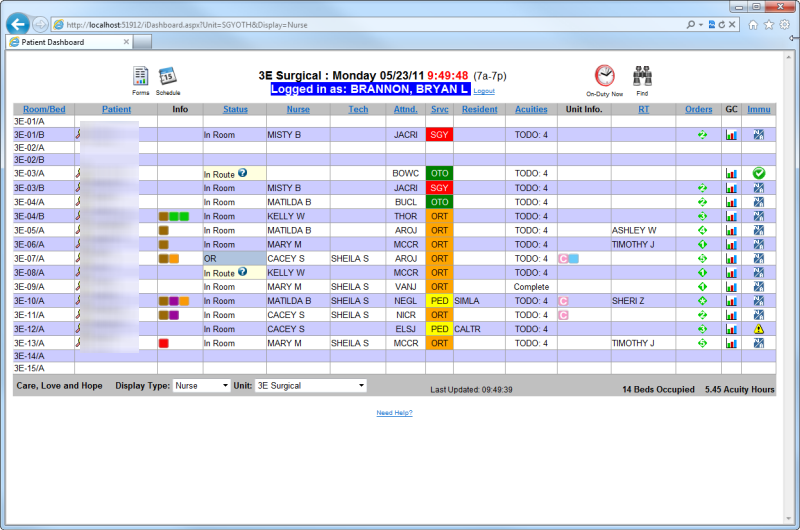 Nurses document patient’s acuity every shift via the touchscreen or web, and the values are then summarized and posted to B/AR as the patient’s daily room charge. 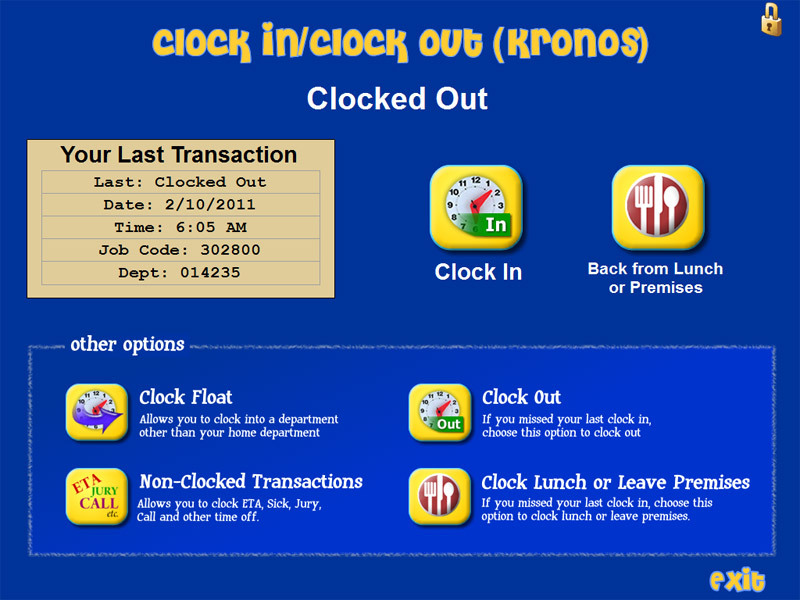 Employee Clocking & Password Management -- The Clinical Touchscreens can be configured with additional features, including Active Directory password management, and can also act as an interface with Kronos to allow employees to clock transactions directly at the touchscreen. Pharmacy Scanning -- Transmit orders to your inpatient pharmacy electronically and stop chasing faxes or calling about missing medications. Our system lets you scan pharmacy orders from inpatient units, clinics and the ED and track them as they are sent electronically to the pharmacy. The pharmacy views all incoming orders on-screen and processes them without the need to print. Sophisticated reporting allows for analysis of load and workflow bottlenecks. Radiology Linking -- Allow radiology to verify the physicians’ signed orders without having to manage a mountain of paper forms! Our system enables electronic linking of a scanned physician order to every radiology exam, and consequently allows radiology techs to verify physician orders prior to performing exams. Compliance is monitored in real time to ensure this JCAHO requirement is being met. How long have the Patient Dashboards and Clinical Touchscreens been in production? They have been in use since 2006. Our institution does not use Meditech. Can we still use the dashboards and touchscreens? Yes, the Patient Dashboards and Clinical Touchscreens were designed to interface with Meditech; however, our programmers specialize in developing intuitive interfaces for all platforms. If your institution does not use Meditech, please contact us for more information. Having the entire clinic schedule available via the web made a huge difference for our physicians, nurses and admin staff. 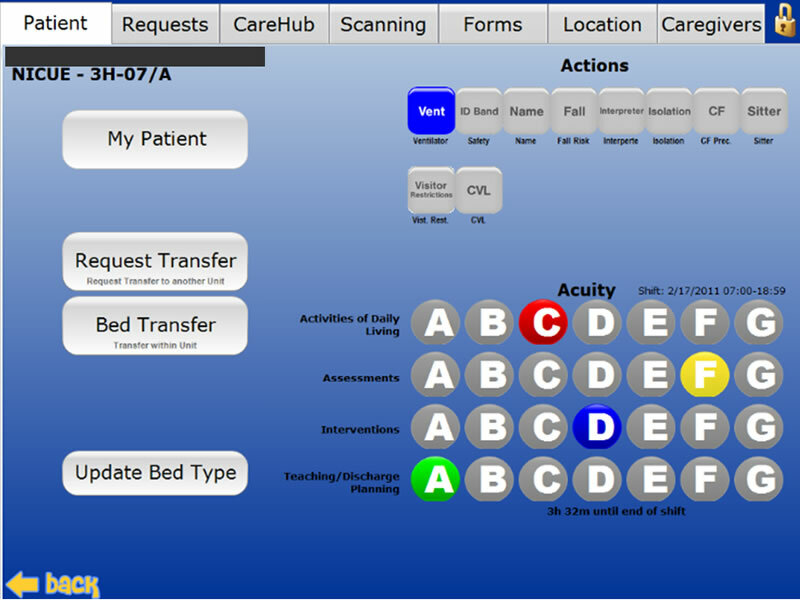 They can now get a clear picture of patient flow, and access many of the key things they need for the visit in one place.